Any time that a liquid or gas is transported via piping systems, whether it’s water, natural gas, crude oil, or caustic chemicals, pressure is exerted on it by the pumping action. Water, oil and gas, and chemical companies rely on various safety valves and regulators to modulate pressure, avoid pipe bursts, and shut down delivery. When you are trying to prevent an emergency, it pays to use pressure regulators from an experienced manufacturer. That’s why many energy companies and utilities choose Dresser, Inc., as their pressure regulator valve design supplier. Founded in 1880, the company has served the energy industry for more than a century. Dresser’s Pressure Regulation Group once used CADKEY® 2D design tools to develop its products before migrating to SOLIDWORKS® software. The group decided to reevaluate its 3D design tools in an effort to accelerate development, according to Ben Bailey, 3D designer, CAD administrator, and PDM/PLM administrator in Dresser’s Pressure Regulation Group. Dresser retained its nine licenses of SOLIDWORKS 3D design software and added integrated SOLIDWORKS Flow Simulation computational fluid dynamics (CFD) analysis software. The company chose SOLIDWORKS software because of its ease of use, integrated simulation tools, and advanced visualization capabilities. “We wanted our 3D solution to play a more important role in helping us to understand a new design, and believed SOLIDWORKS Flow Simulation could help us to better achieve our goals,” Bailey notes. Since implementing its SOLIDWORKS software design solution, the company has compressed its development cycles, implemented more efficient prototyping techniques, and made good use of simulation technology. For example, Dresser was able to reduce the development cycle on its new one-inch, slam-shut gas safety valve by 50 percent. “With SOLIDWORKS software, we are simply faster in terms of the time it takes from concept development through release,” Bailey points out. A primary factor in Dresser’s improved productivity is the ability to simulate pressurized fluid flows directly in the SOLIDWORKS software environment. 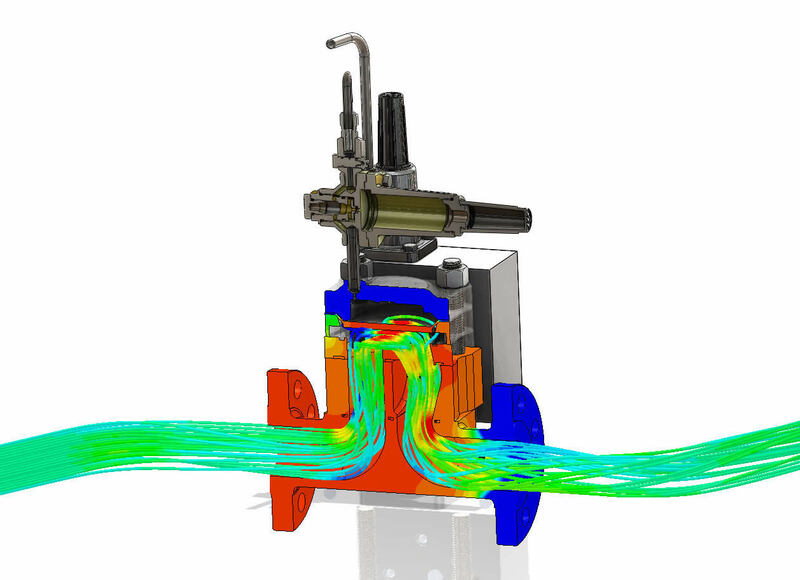 Using SOLIDWORKS Flow Simulation, the company’s designers use flow simulation results to optimize designs. This not only improves product performance, but also reduces the time and cost associated with protracted prototyping and testing requirements. Using SOLIDWORKS Flow Simulation, Dresser engineers can quickly gain an understanding of how design changes affect gas and fluid flows instead of having to incur testing costs. “SOLIDWORKS Flow Simulation software provides greater insight into what’s going on inside our pressure vessels,” Bailey stresses. “Some of our surge relief valves are quite large—they weigh as much as three cars—and handle immense pressures. Other products are quite small by comparison, like our one-inch, slam-shut valve. We have great expertise when it comes to knowing how to restrict fluid and gas flows. 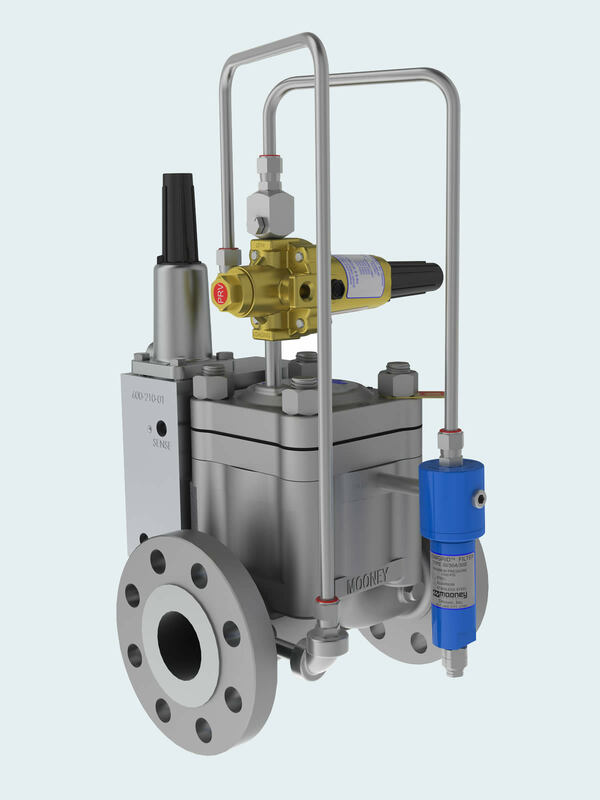 SOLIDWORKS Flow Simulation allows us to know exactly how much will flow through a valve and how design modifications will affect the flow. SOLIDWORKS software has also allowed Dresser to improve design visualization—whether it’s in the form of an actual physical prototype or a photo-realistically rendered 3D virtual image. The company creates rapid prototypes from SOLIDWORKS software models using a 3D printer, and then glues the 3D print into a mold to create rapid sand castings. Using PhotoView 360 software, designers create lifelike, rendered images, which sales and marketing personnel use to seed the market with new product concepts. Accelerate the development of pressure regulators while reducing reliance on physical testing. Implement SOLIDWORKS 3D CAD software and SOLIDWORKS Flow Simulation analysis software to optimize regulator design and performance.